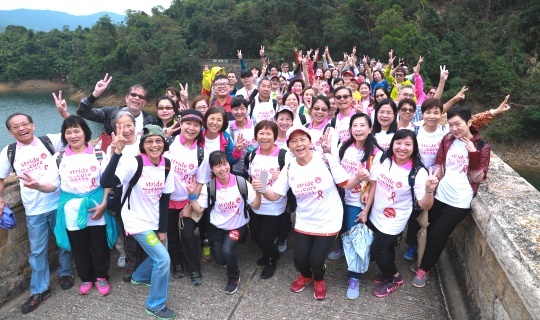 Hong Kong Cancer Fund Stride for a Cure 2018 - Happy moments! Home > Stride for a Cure 2018 – Happy moments to remember! Stride for a Cure 2018 – Happy moments to remember! Thank you to our nearly 2,000 participants, sponsors and supporting parties taking part with us at Stride for a Cure 2018 held in November last year. It was a great turn out despite the rain showers. The fun-loving mascot, Din Dong, also joined us on this family fun day to help us raise funds for local cancer research and free cancer care services. Please click here for more highlights.